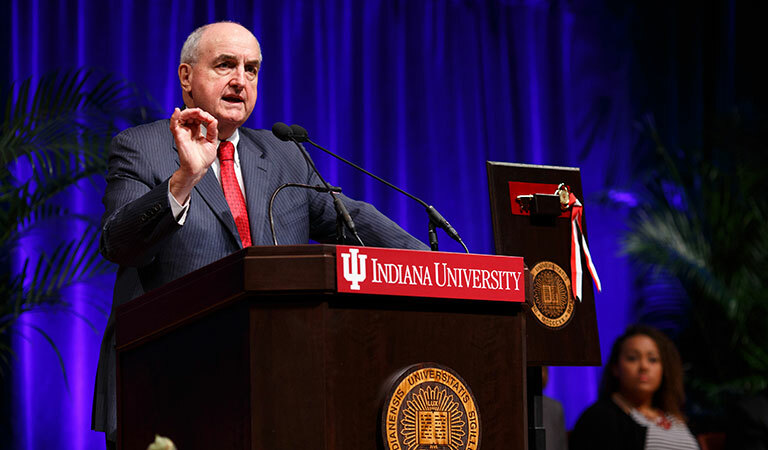 IU President Michael A. McRobbie sets the tone at the IUPUI North Hall Dedication Ceremony. 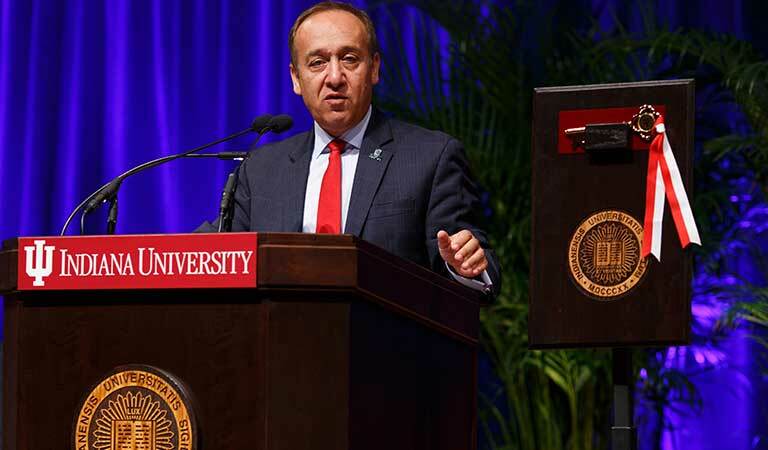 IUPUI Chancellor Nasser H. Paydar takes the mic the North Hall Dedication. 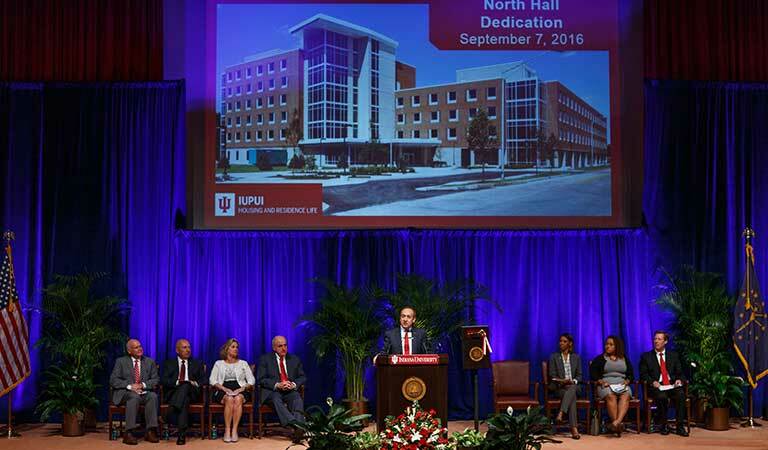 Chancellor Paydar promotes living on campus at the North Hall Dedication. 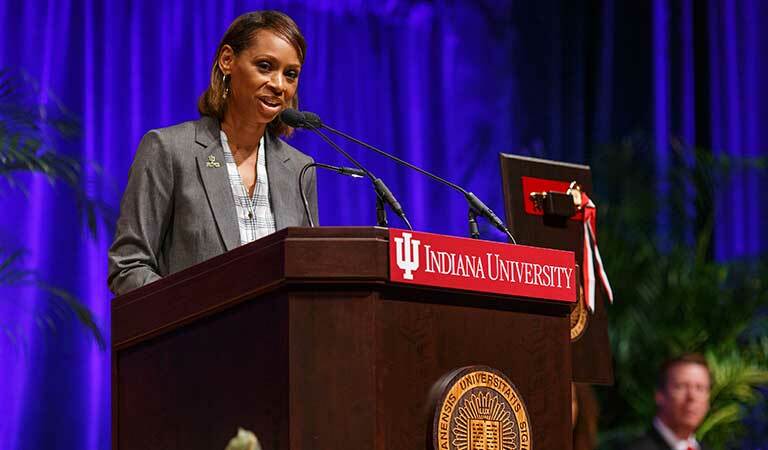 Interim Vice Chancellor for Student Affairs Tralicia Lewis speaks at North Hall Dedication. 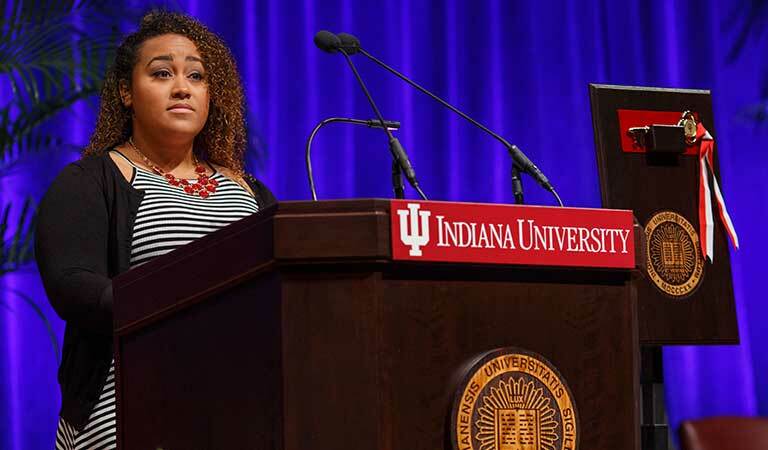 Marilla Miller represents IUPUI students at the North Hall Dedication. 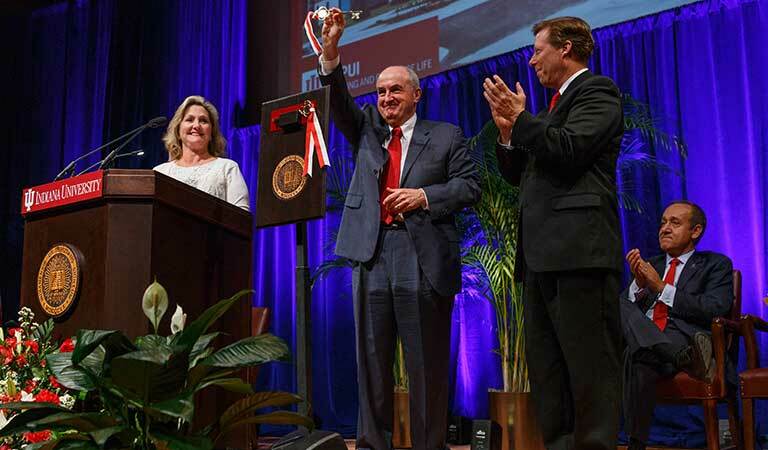 Board of Trustee members Mary Ellen Bishop presents the ceremonial key to President McRobbie while architect Gary Voirol applauds at North Hall Dedication. 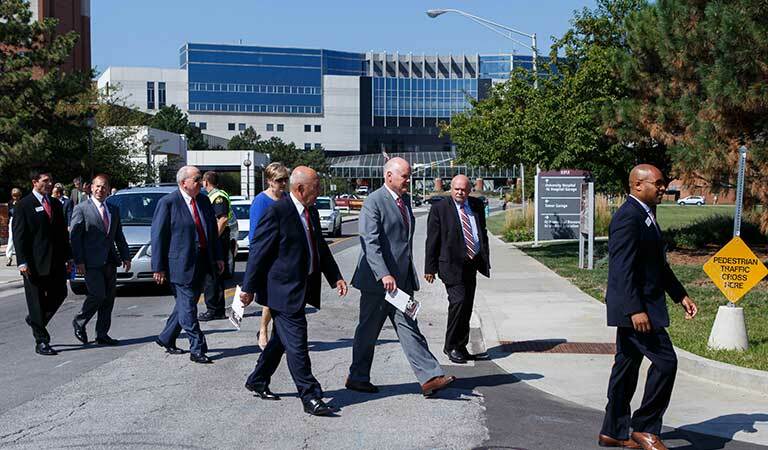 Aaron Hart, Interim Associate Dean of Students and Director for Housing and Residence Life at IUPUI, leads a group across campus to tour North Hall following the formal dedication. 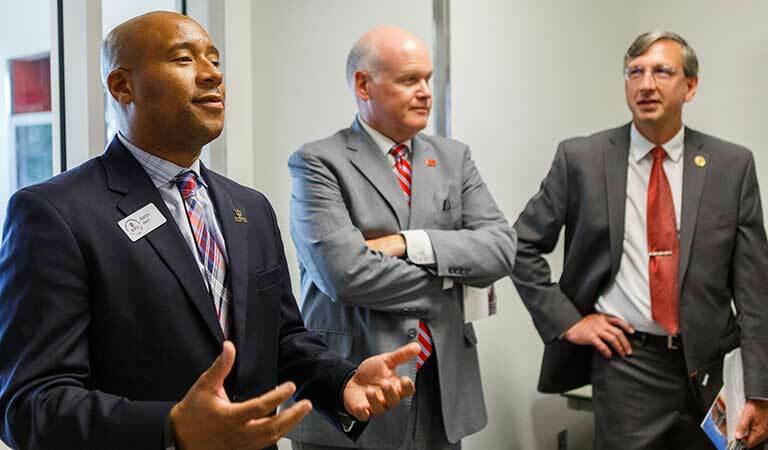 Dr. Hart leads a tour of North Hall with Tom Morrison, Vice President for Capital Planning & Facility, and Ken Carow, Associate Dean for Faculty and Research at Kelley School of Business. Welcome signs for new residence of North Hall. 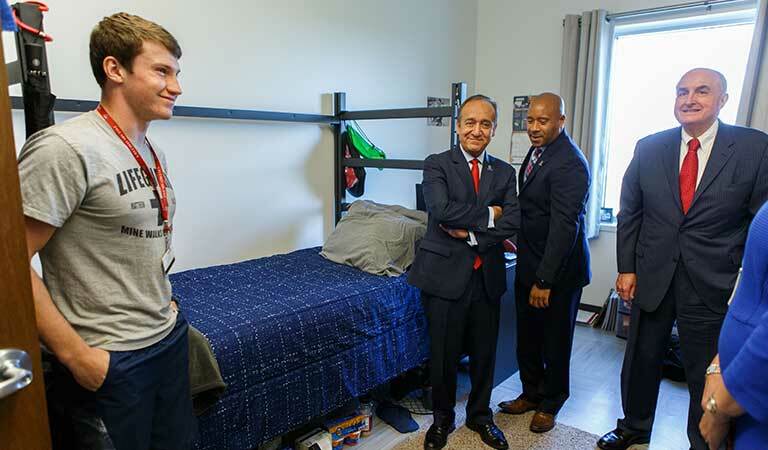 An IUPUI student shares his new space in North Hall with Chancellor Paydar, Dr. Hart, and President McRobbie.